Each of the lawyers at the firm are skilled mediators. Because of the unique nature of our practice, mediation of family law and contract issues, especially those with delicate financial considerations, are our speciality. Mediation is the best avenue for your clients to craft lasting resolutions that best fit their lives. We are keenly aware that this avenue is preferable for most issues and have the experience to guide your clients through this process. We understand that mediated solutions have a greater potential for flexibility and consideration of unique and individual circumstances that are not necessarily achievable in a trial setting. We also understand that mediation has the power to teach people to approach their conflicts from a broader perspective, offering new tools for resolving disputes in the future. When your case needs a mediator that can open doors and offer possibility, narrow your clients’ issues and craft creative solutions, we can help. Schedule your next mediation with us. It is becoming very common for our clients to ask about alternative dispute resolution (ADR). In fact, in many judicial districts in North Carolina, the district court has adopted rules for mandated ADR in family law cases. The goal of the Administrative Office of the Courts is to have statewide mandatory custody mediation and mandatory ADR for the resolution of financial issues related to separation and divorce. Even after you file a lawsuit, statistics show that 80 to 90 percent of court cases settle before trial. Why is Alternative Dispute Resolution Encouraged? Alternative dispute resolution can save financial and emotional costs. Not only is litigation expensive and time-consuming, but it can be very stressful. You may feel that an important part of your life is on hold while you are waiting for a trial date, wondering and worrying about the outcome. Mediators can increase the likelihood of a negotiated settlement by bringing the skills, creativity, and influence of trained, impartial third parties to bear on the problem. Perhaps more importantly, frequently mediation can save time and money. Mediation keeps your options open, and reduces issues of conflict. Although most who begin mediation have a successful conclusion, some do not. If mediation doesn’t work, you can still sue, go to court or engage in arbitration. Mediation is a process in which two or more people involved in a dispute come together voluntarily to try to develop a solution to their problem with the help of a neutral third person (or persons), called the mediator. Unlike a judge or an arbitrator, the mediator does not take sides or make decisions. The mediator, usually trained in conflict resolution, is there to help the disputants evaluate their goals and options in order to formulate their own solution. To achieve the fairest results possible, you both take an active part in your divorce, and turn what could be a battle for control into a search for mutually beneficial solutions. Mediation can take place over a series of sessions. But, more often than not, it is scheduled for a continuous amount of time to keep the negotiations going. Sessions are generally held in the privacy of the mediator’s office or an attorney’s office, and begin with all involved signing an agreement that the negotiations will be kept confidential. 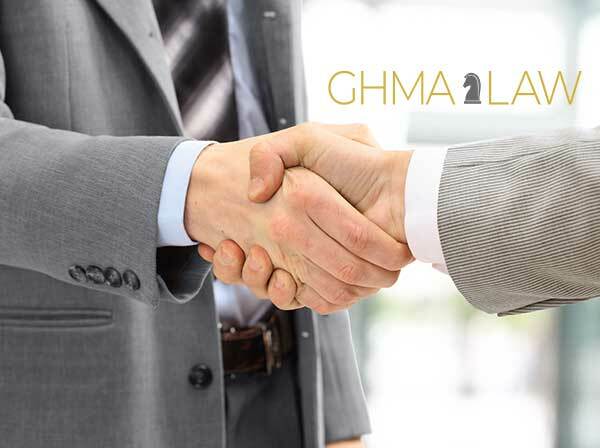 At the end of a successful mediation, the mediator will prepare a Memorandum or writing expressing the agreements of the parties, at least on the issues which were resolved. Any formal agreement will be drafted by your or your spouse’s lawyer. The mediator’s role is to move the parties beyond personality clashes and historic grievances. Only then, can the mediator help you improve communication so any future dealings can take place without repeating the difficulties of the past. Mediation is a useful tool because it adds a new dimension to the negotiations. Because the mediator’s purpose is to help guide you to find solutions that you can both agree to, he/she does not have the power to decide your case, or in any other way, act as a judge. Nor does he/she have a fixed result in mind to urge you toward. Matrimonial arbitration can be used to resolve multiple or single family law issues which the parties agree by contract to submit to the arbitration process. Some parties are bound by the terms of prior contracts, such as premarital agreements, to submit their marital disputes to arbitration. What are the Benefits of Arbitration?